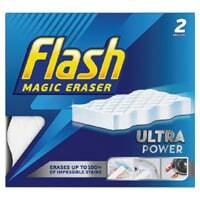 You can get a free sample pack of Flash Magic Eraser from SuperSavvyMe but you will have to act fast as this is a super hot offer and they will run out soon. Follow our link, add the sample in cart and get it delivered to you. Click on “GET IT HERE” button and then follow instructions given above to get this sample.